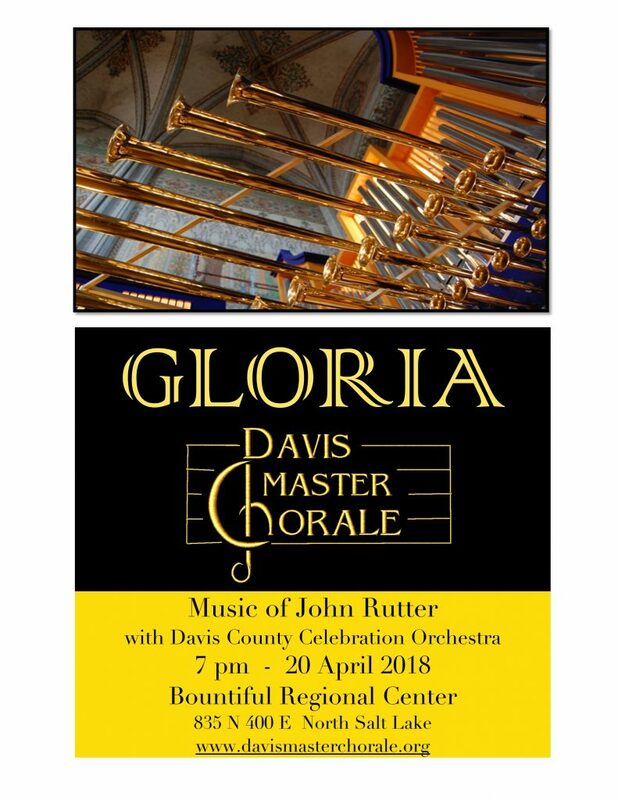 On Friday, April 20th, The Davis Master Chorale, combined with Davis County’s own Celebration Chamber Orchestra, will be performing two of John Rutter’s vibrant and energetic compositions, Gloria and his Requiem. This FREE performance will be held at the Bountiful Regional Center starting promptly at 7 pm. John Rutter’s Gloria is a musical setting of parts of the Latin Gloria. He structured the text in three movements and scored it for choir, brass, percussion and organ, with an alternative version for choir and orchestra. The second movement features first soprano, second soprano, and alto solos and duets. Rutter’s Requiem is a musical setting of parts of the Latin Requiem with added psalms and biblical verses in English, completed in 1985. Five of its seven movements are based on text from the Latin Requiem Mass, while the second movement is a setting of “Out of the deep” (Psalm 130) and the sixth movement is an anthem The Lord is my Shepherd (Psalm 23) which Rutter had written earlier. 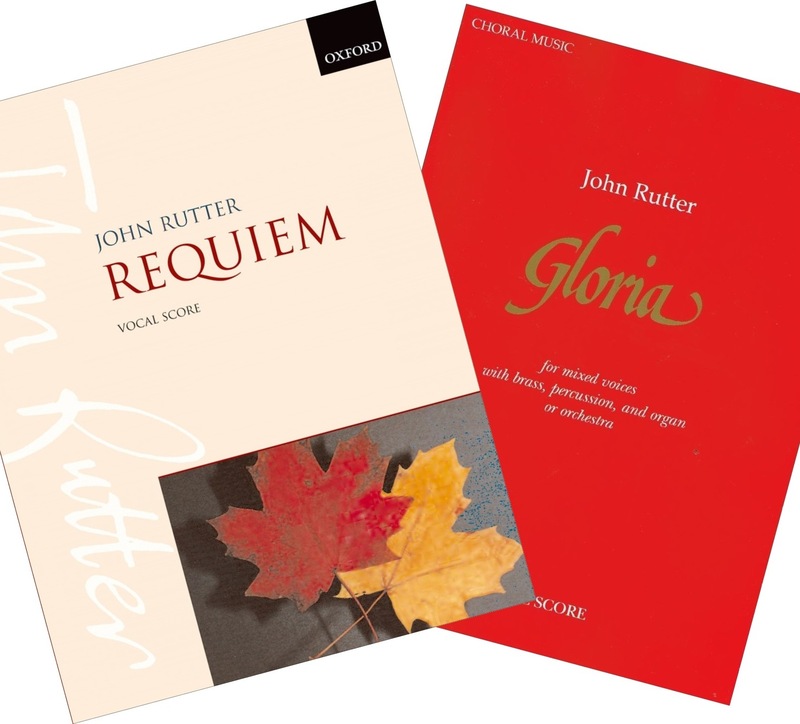 Rutter scored the Requiem for mixed choir and orchestra and features solos for cello, soprano and oboe. 2018 Spring Season will be BIG! For our 2018 Spring Concert, Jim has announced we will be performing John Rutter’s Requiem and Gloria, together with the Celebration Chamber Orchestra! Rehearsals begin Tues, Jan 9, at 7:30 PM, in the Davis High School choir room [MAP]. The cost for 1 season is $20/person and NO audition is required. The concert will be in April, with the exact date and location to be announced in the coming weeks.